They also successfully developed the Pipes Diameter and Technology to cover the vast Projects requirements So, Now Vialli Pipes & Fittings possible to produce up to 250mm Diameter Pipes & Fittings, PN20 &PN25, Aluminum Reinforced Pipes and Fiber Glass Reinforced Pipes. 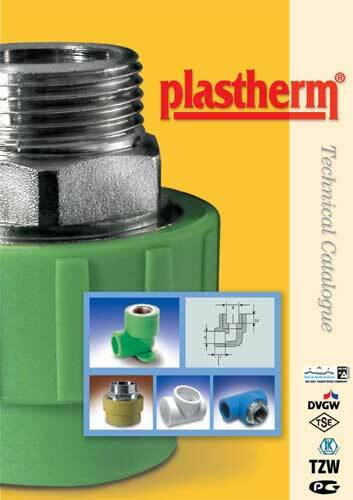 Plastherm is one of the biggest Manufacturers in Turkey Established in 1992 had all the principles of Manufacturing success the knowhow Managements, Business ethics, financial and struggle to be in the first line of Global Manufacturers all of these lead to be Plastherm on the Peak. Mincom is sole Agent for Plastherm brand, external water carrying pipes made of Polypropylene random copolymer PPRc, Plastherm PPR, produced & monitored under the German standard Number DIN 8077 for Dimensional purpose & DIN 8078 for Quality purpose. Plastherm PPR Pipes system achieved Quality German certificate SKZ & Hygienic German certificate DVGW and recently achieved the Certification of Water Regulations Advisory Scheme (WRAS) - Semi Government U.K. Certificate concerning the Product Quality. Also we succeed to get DM Certificate. Plastherm PEXa pipe system made of cross linked polyethylene both systems produced without any additives which might be harmful to health. 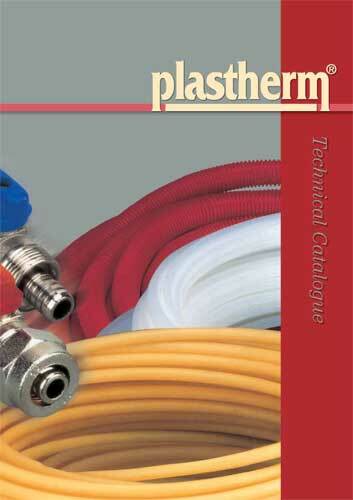 Plastherm Pex produced under German Standard No. 16892, 16893. Plastherm Pex is subject to strict control and Independent testing by DVGW & SKZ in Germany for drinking water purposes and recently achieved the Certification of Water Regulations Advisory Scheme (WRAS) - Semi Government U.K. Certificate concerning the Product Quality. Also we succeed to get DM Certificate. Mincom Trading LLC is launched “Mincom Drain” advanced uPVC soil & waste System, Produced and Managed Locally by our Eng. Division. Our system could cover all demands of the market, we are carefully Select the perfect European and British standard and producing our system Locally in the best local manufacturers under our engineering supervision. We are proud to say that Mincom Trading is one of the biggest local supply companies in this field. Helioakmi S.A. is a manufacturer of solar energy systems since 1976, specializing In forced circulation systems, as well as in solar panels and solar water heater products known worldwide as NovaSun. The high quality and international recognition of Helioakmi S.A. solar water heaters have brought us in a position among top solar water heater manufacturers. Thousands of NovaSun Solar Water Heaters by Helioakmi S.A. are successfully used in most countries of the world - from Athens to the U.S.A. and from Africa to Australia, to all of Asia and the Far East and Europe - provide continuous and abundant hot water. Today HELIOAKMI NOVASUN not only represents highly specialized technology and the experience of 35 years, but high quality systems, meeting the highest demands. The advance technology’s NovaSun SOLAR water heaters use a closed circuit of natural circulation. The special thermal fluid, used in the closed circuit, enhances the performance of the heater protects it from the freeze and prevents the slats scale deposition inside the tubes of the collector. The production process and raw materials are used to produce NovaSun Solar Collectors, Able to absorbed high thermal energy efficiency even during periods with insufficient radiation. The Enviro Energy Solution solar system manufactured by Papaemmanouel S.A. the highest quality with incomparable aesthetics. Designed, conceived and manufactured to satisfy the most demanding clients, seeking both the most efficient product and superior design and aesthetics with cutting edge design and detail. The whole mounting structure is made of high resistance aluminum profile and the collectors and tank are fixed on the structure with high reliability and security screws and bolts. LCZ was founded in Parma, in an area that is deeply integrated with its traditions in the food industry. Respect for the environment and energy saving have always been at the basis of the development of designs for steam generators and subsequently, for the creation of industrial installations. The revolution in Electrical Water Heater, Our Engineers cooperate with our Business Partners, European Engineers in Italy and we success to invent Nova Boiler as Stainless Steel 316L Electrical Water Heater as a new Generation of Individual Water Heaters. Steam and Hot Water Boilers-Italy, IVAR Srl was founded in 1956, a company from Verona manufacturer of heating boilers and industrial boilers which immediately became one of the leader companies in the sector. IVAR Srl in 1992 become an integral part of the Zucchelli Goup which owns the ZUCCHELLI FORNI S.P.A., a leader in the production of confectionery and bakery Ovens. In 1997, the Group, with the intention to unite and bring the various subsidiaries and the need for more space, it moved to the present location in Trevenzuolo on an area of 100,000 square meters of which about 65,000 are covered. In 1998 the company is renewed, changed its corporate name and the historic logo and becomes the current IVAR Industry S.r.l. IVAR Industry S.r.l. now it builds various models and types of boilers and generators technologically advanced, high quality and tried reliability that pose it among the most qualified manufacturers worldwide. The Innovation of German Technology and Service made Dimplex as one of the market leaders in the Industry. Dimplex – Germany success of its innovations largely to our exceptional proximity to our customers when it comes to research and development, Engineering, design, quality assurance, production and marketing. One of our vast range product which is produced carefully to be compliance with ISO 9001 & ISO 14001, We use the best components present on the market and the best technologies presently available, led to development and realization of all environmentally compatibles Head pumps, extremely silenced and reliable in wide capacity range and with different ecological refrigerants. Available in high capacity reach to 778kw. Wilo Pumps, since 1872, Wilo have been turning visionary ideas into intelligent solutions for vast range of Pumps. Wilo pumps have an extensive range which includes all types of water supply pumps(Circulation , Transfer ,Booster and Submersible Pumps) , Drainage & sewage pumps, and industrial pumps (Horizontal, Vertical) for many applications.